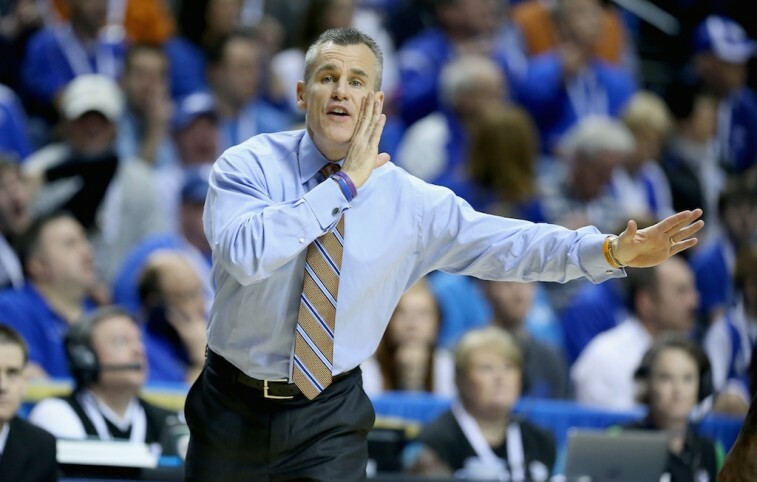 Billy Donovan is finally ready to leave college. After years of flirting with the NBA, the time appeared right for Billy the Kid to take the next step, as he’s agreed to be the newest head coach of the Oklahoma City Thunder. The deal is reportedly worth $30 million over five years. And while that is a lot of cash, we have to believe money wasn’t the tipping point. It became clear that Donovan was ready for a new challenge. After all, what more could he possibly achieve at the collegiate level? In his 19 years as head coach of the Florida Gators, Donovan built a powerhouse of a program. He accumulated a 467-186 record, won eight SEC regular-season titles, four conference championships, and two national titles. He could’ve stayed in that position for as long as he wanted. But this job with the Thunder is one that doesn’t come around very often, and it proved too enticing to turn town. Donovan will be tasked with helping OKC overcome that final hurdle: winning an NBA title. Fortunately, he’ll have the luxury of coaching Kevin Durant and Russell Westbrook. Despite no pro experience, Donovan should be more than capable of succeeding at the highest level. In fact, it’s not him who we’re most worried about. It’s the University of Florida. This guy is leaving some pretty big shoes to fill. The Gators will be expected to continue to compete with the best teams in the country. But in order for that to happen, they will need a quality coach on the sidelines. None of the available individuals are on Donovan’s level, but that doesn’t mean there aren’t some talented coaches who could do great things at this university. With that in mind, here are five potential heading coaching candidates for the Florida Gators. Richard Pitino is blessed to come from basketball royalty, but he is more than just Rick Pitino’s son. 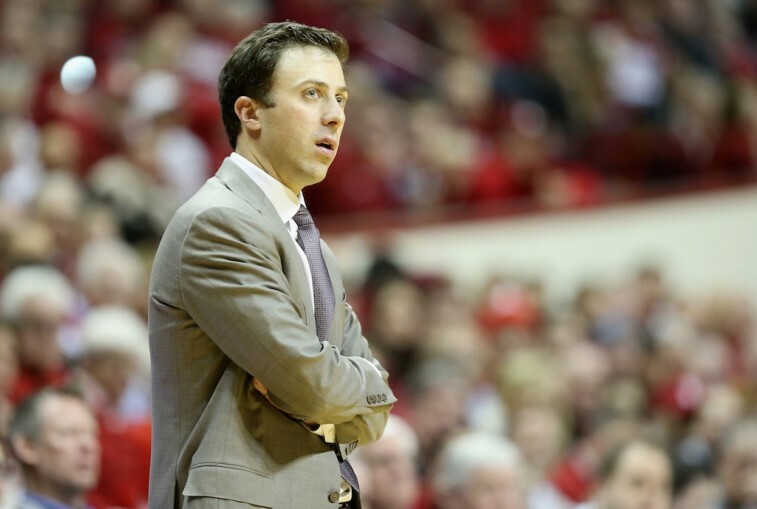 The man calling the shots for the Minnesota Gophers has coaching chops. Granted he’s only been a head coach for a total of three years, but he’s won with both the program’s he’s led. While patrolling the sidelines for Florida International, Pitino led the team to 18 wins (the school’s most since 1997-1998). Since taking over the coaching position at Minnesota prior to the 2013-2014 season, the Gophers have gone 43-28, which included winning a school-record 25 games in 2013-2014. He may seem a bit inexperienced for the Florida position, but he does have ties to the program — he was an assistant to Donovan for two seasons. His lack of NCAA tournament experience as a head coach will most likely hurt his chances. Still, he will be running a big program one of these days, even if it’s not with the Florida Gators. Ben Jacobson isn’t a name people know outside of college basketball circles, but the guy is a winner. In his nine years at Northern Iowa, Jacobson is 197-105 with a .652 winning percentage. 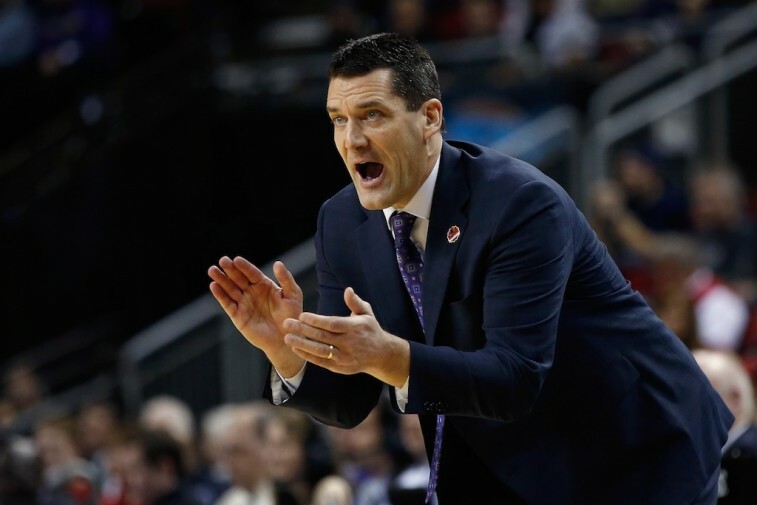 He’s led the Panthers to the Missouri Valley Conference regular season title twice, won the conference tournament championship three times, and been to the NCAA tournament on three different occasions. One of the most recognizable accomplishments of Jacobson’s coaching career was his Cinderella team from 2009-2010. That squad finished the year with a 30-5 record and knocked off the No. 1-seeded Kansas Jayhawks in the second round of the tourney. They would lose in the Sweet 16 to Michigan State, but what Jacobson was able to help that team do proves that he knows a few things about the X’s and O’s. Just imagine what he might be able to do with the resources the University of Florida could provide. 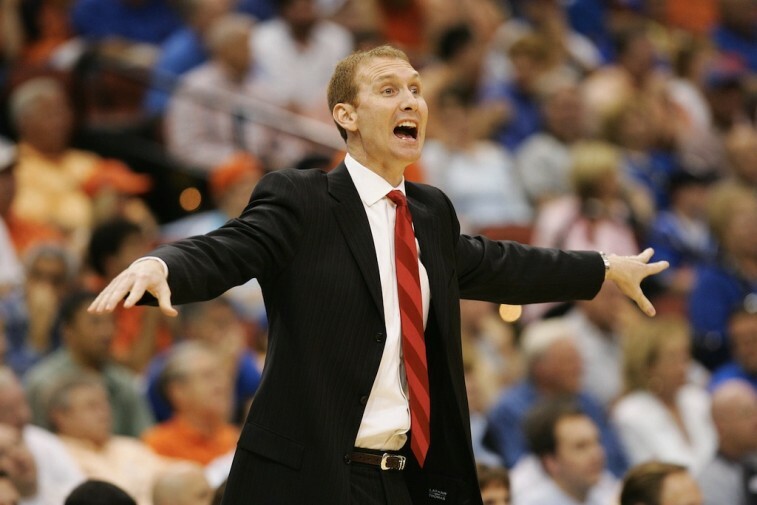 If the University of Florida higher-ups are looking to maintain some continuity within the basketball program, then they might be inclined to tab assistant coach John Pelphrey as the man to replace Donovan. He’s been an assistant coach with the Gators on two separate occasions. The first time was from 1996-2002, and the latest run with Florida started back prior to the 2011-2012 season. Besides all his experience as second in command, Pelphrey also knows what it’s like to run a program. He was the head coach at South Alabama from 2002-2007. During that period, the Jaguars won 80 games, two Sun Belt regular-season championships, and a conference title. After leaving South Alabama, Pelphrey took over the coaching position at Arkansas. He led that program from 2007-2011 and posted a 69-59 record, which included one trip to the NCAA tournament. Pelphrey may have some serious ties to the university and taken two separate schools to the big dance, but there is the possibility that Florida would like to hire a bigger name for the job. 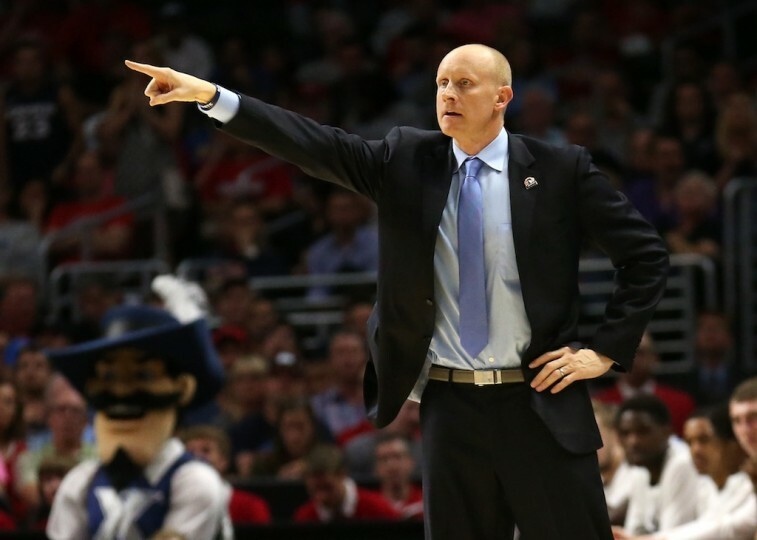 Chris Mack’s name has been floating around as a possible candidate, and we’re not surprised. In his six seasons as the head coach at Xavier, he’s compiled a 134-71 record and a .654 winning percentage. The Musketeers have been to the NCAA tournament five times and won their regular-season conference title twice. Mack has helped Xavier achieve success in both conferences it’s played in, but what people are most impressed with is his ability to navigate the NCAA tourney. Mack holds a 6-5 career record in the big dance. One can only make that happen in such a short time if his team raises its game on the biggest stage. This is what Mack helps the Musketeers do. Under his tutelage, Xavier has been to the Sweet 16 on three separate occasions. That’s how you make a name for yourself as a big-time coach. At Florida, there is an expectation to win at the highest level. Mack has proven more than capable of getting it done. The only thing that may prevent Mack from taking this next step would be his love for the state of Ohio. Still, he should definitely be on UF’s wish list. Archie Miller has said he’s trying to build something special at Dayton, but that won’t prevent people from linking his name to this position. His brother Sean made the leap to a big program, and there’s no doubt this Miller could be successful at Florida — especially given what he’s already done for the Flyers during his four seasons at the helm. 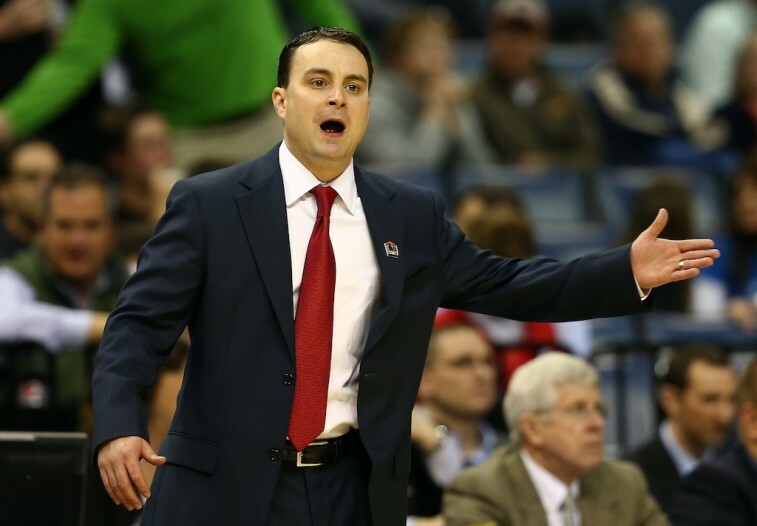 Miller has won 90 games in his short stint as the man in charge, and he’s taken Dayton to the NCAA tournament twice. This past season, the Flyers managed to win three games at the big dance. But it was during the 2013-2014 campaign that this team showcased its undeniable skill. Miller took a squad that finished fifth in the A-10 Conference, that was given an 11-seed in NCAA tournament, and led them all the way to the Elite Eight. On its way to the regional final, Dayton took out No. 6 Syracuse, No. 3 Ohio State, and No. 10 Stanford. Miller has won with a smaller program, and there’s no indication that he’s ready to leave Dayton. Still, the Gator faithful would be lucky to have a guy of his caliber calling the shots. All statistics are courtesy of SR/College Basketball and ESPN.go.com.